Babies and toddlers just love to put things inside small spaces and empty containers out. It is great fine motor practise and they will often concentrate for amazing lengths of time if the challenge level is just right. If a child is frustrated by their inability to do the task, simply change the activity for now and re-introduce it a little later. It should have an element of difficulty, but not so difficult that they cannot be successful. This is a great activity for highchair time, playpen time, mat time or table time. The child posts the dolly pegs into the lid of the bottle and pulls them back out the bottom. In this example the solid bottle adds a different dimension and the pegs are shaken out once posted. 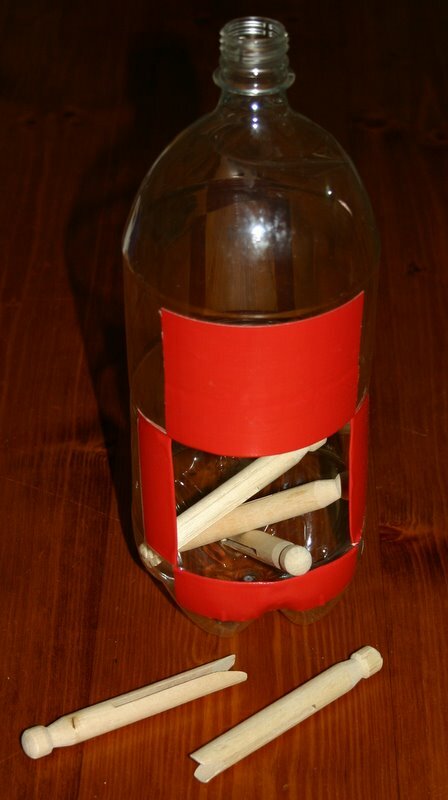 The posting bottle can be combined with other skills. Sliding the dolly pegs on and off the edge of a sturdy cardboard box is a complete activity in itself. 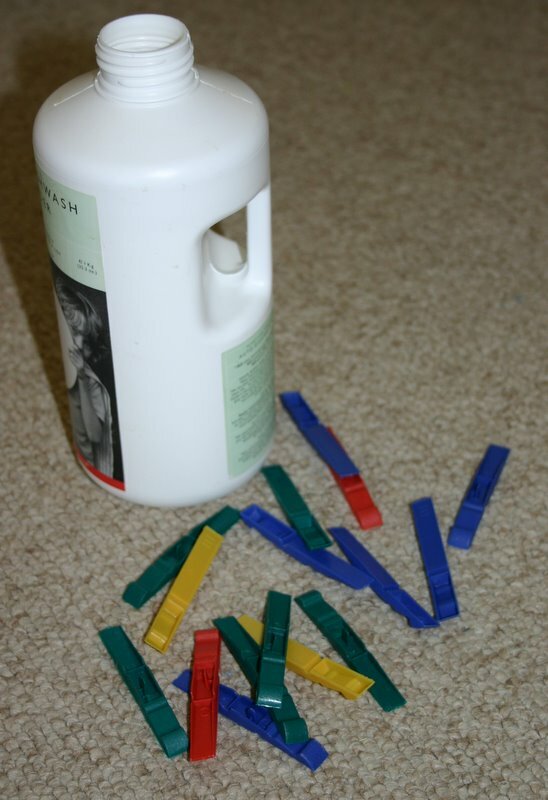 My children usually enjoyed taking the pegs off the box but did not choose to put them back on again. When they were finished with the activity we slid them back on to the box together as part of the packing up process and they happily practised this skill. Please see my articles titled “Workjobs and Learning Styles” and “Brief Montessori Overview” for more information.